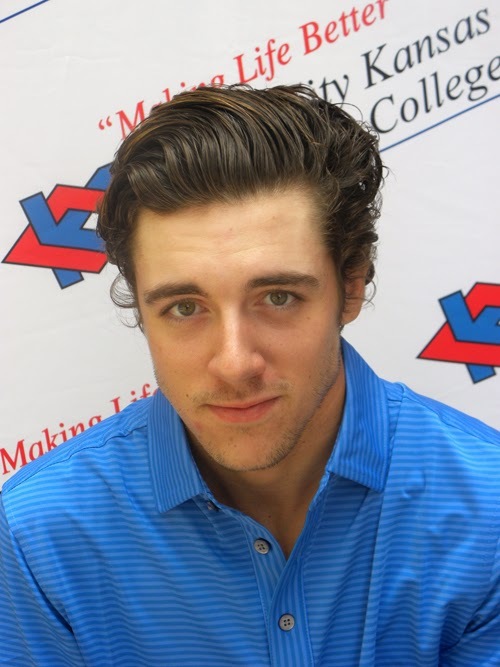 KANSAS CITY, KAN. ----- Led by co-medalist Alex Forristal, Kansas City Kansas Community College rallied to a third place finish in the 2014 William Woods University Golf Tournament in Fulton, Mo. Monday and Tuesday. Four strokes back after an opening round one under par 71, Forristal rebounded with the tournament’s best round – a sizzling 6-under 66 – to overtake David Houlding of William Woods for co-medalist honors at 137. A sophomore from Lenexa and Olathe East, Forristal’s big finish helped KCKCC vault from fifth to third place in the 9-team tournament made up of four-year colleges. With four of the top nine finishers, William Woods won the tournament going away with rounds of 279-286 for a 565 total. Culver-Stockton finished second at 287-293-580. Fifth at 306 after one round, the Blue Devils were just one stroke back of William Woods for the low round of the second day’s play. Led by Forristal’s 66, a one-under 71 by Lane Pauls of Newton and an even par 72 by Seve Sites of SM West, the Blue Devils closed with a 287 for a 593 total. Southwestern College was fourth (594) followed by St. Xavier of Illinois (607), Hannibal LaGrange (626), Central Methodist (641), Haskell (647) and Westminster (759). The Blue Devils are now home for the annual Blue Devil Classic to be played Monday and Tuesday at Dub’s Dread.